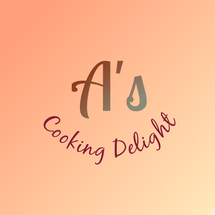 Cooking Delight is run by a talented chef Shalini Bhargava who has been studying and practicing cooking in Gurgaon, India for the past 5 years. Cooking is Shalini's passion and she takes immense joy in making creative modifications to traditional dishes. Her specialization lies in snacks including frozen ones, desserts, healthy tea-time cakes and confectionary items which are both delicious and easy to replicate at your home. Get on board for an interactive semi hands-on class.